Achieve sky-high, fluttering lashes with the collector’s Lipocils Expert, the limited edition of Talika’s best-selling eyelash growth enhancer in celebration of the brand’s 70th anniversary. Powered by four patented complexes including the exclusive Legendary Botanical Complex (a natural blend of Witch Hazel, Apple, Nettle, Chestnut and St. John’s Wort) and anti-ageing Peptide Expert, the 97% natural formula works to lengthen, curl and darken lashes within 28 days, correcting sparseness, brittleness and lack of curl, shine and resilience. 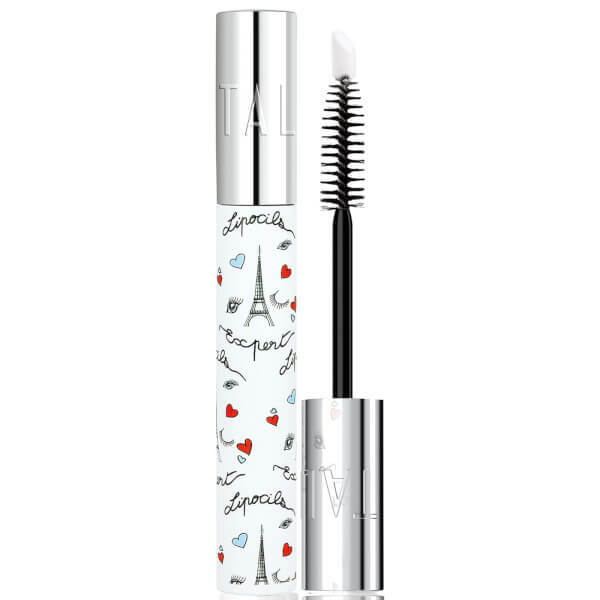 Expect longer, stronger and fuller lashes with improved shine and overall health. For optimal results, apply morning and evening for 28 days. May be worn alone or underneath your favourite mascara, safe for contact lens users. Apply to cleansed lashes, use the foam tip to apply Lipocils Expert to the lash roots and then follow through to tips with the brush applicator extending treatment to lash tips. After 28 days, feel free to use once daily for lash maintenance. Aqua, Glycerin, Carbomer, Lactic Acid, Alcohol Denat, Sodium Hydroxide, Phenoxyethanol, Butylene Glycol, Lecithin, Methylparaben, Allantoin, Hydrolyzed Silk, Ethylparaben, Isobutylparaben, Propylparaben, Hypericum Perforatum Leaf Extract, Pyrus Malus Fruit Extract, Hamamelis Virginiana Leaf Extract, Aesculus Hippocastanum Bark Extract, Urtica Dioica Leaf Extract, Butylparaben, Polysorbate 20, Coleus Forskohlii Root Extract, Palmitoyl Oligopeptide, Palmitoyl Tetrapeptide-7, Dextran, Acetyl Hexapeptide-1.